Follow the roadmap of the security solution for the authentication of the banking system and online transactions, and follow the decree of 630 / QĐ-NHNN where “D” transaction (the highest level) needs to use U2F/UAF from 1/1/2019. 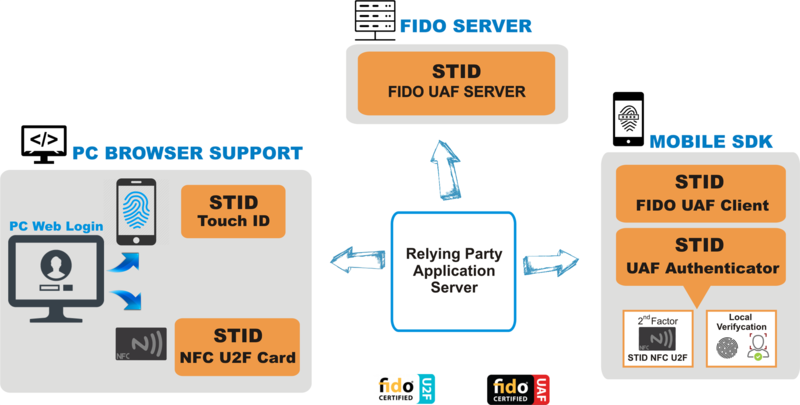 STID’s FIDO UAF Server authentication system uses UAF (Universal Authentication Framework) protocol, which provides online security services to users such as biometric security (fingerprint, voice, face, eye retina) or multi-layer security with PIN … Users can register their account online with the information included through fingerprint scanning, retouching with camera, speaking microphones or simply providing a PIN. The UAF protocol allows users to choose which authentication method based on the authentication features that the user’s device possesses is most convenient and optimal . By registering, users simply repeat the biometric action or enter a PIN to authenticate to these online services without having to remember long passwords. In addition, FIDO UAF also allows multiple combinations to perform multi-layer authentication such as fingerprint + PIN. 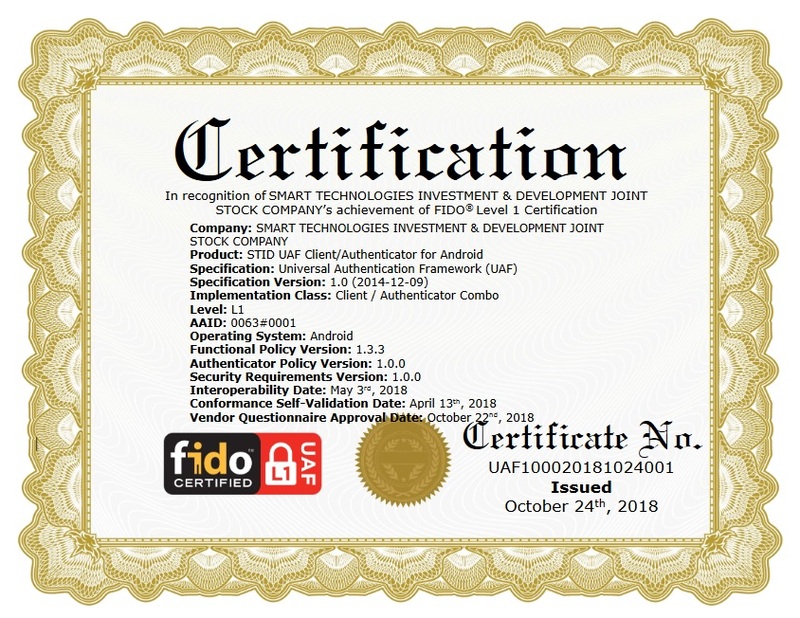 In addition to receiving FIDO UAF certificate from the FIDO Alliance, STID is proud to bring our customers FIDO UAF authentication services/applications with the highest safety and reliability. Interact with the Web Server to transmit FIDO UAF messages to a FIDO UAF Client for iOS / Android (Web browser) to authenticate the user. Device authentication with the mobile SDK is absolute safety and trust for the client applications. Evaluate biometric authentication (fingerprint, iris, etc.) and confirm user’s transaction to ensure the validity of the online transaction. FIDO UAF SDK is a library package that also provides UAF client methods to support developers who can easily integrate UAF into other software. STID UAF Client/Authenticator has been certified about security technologies by FIDO Alliance (8/2018). This application is a quality, safe and reliable product for every customer. It can be run on both Android and iOS. 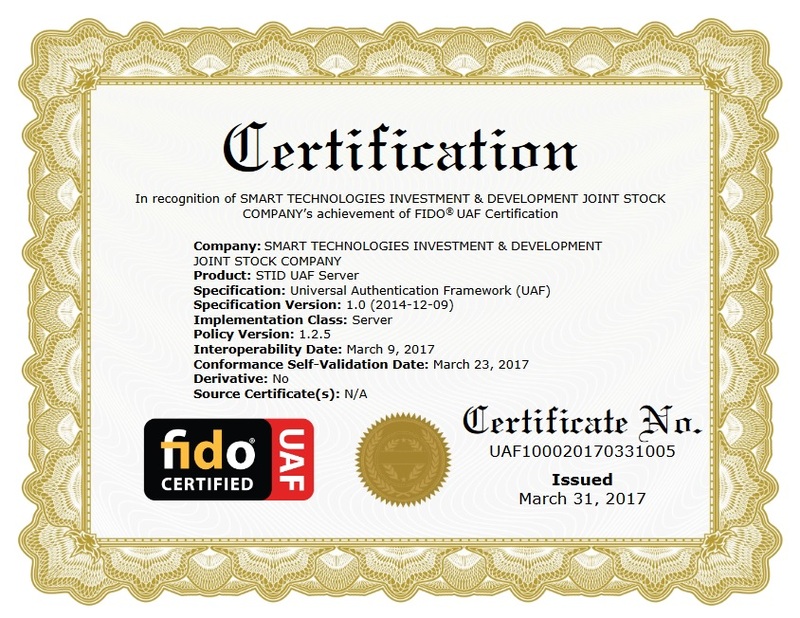 FIDO UAF Application is the application that integrates UAF into the process depending on the requirements of the client. Please contact us for more information and advice on services. Let us know what you need to be able to advise on the optimal solution. After receiving the request, we will give you the desired product as soon as possible.